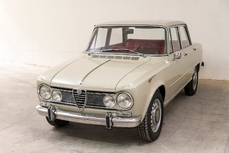 In the early 1960s, Alfa Romeo, the giant of Italian performance automobiles, having established such dominance in so many categories, decided to build a formidable lightweight performance four door for mass production. 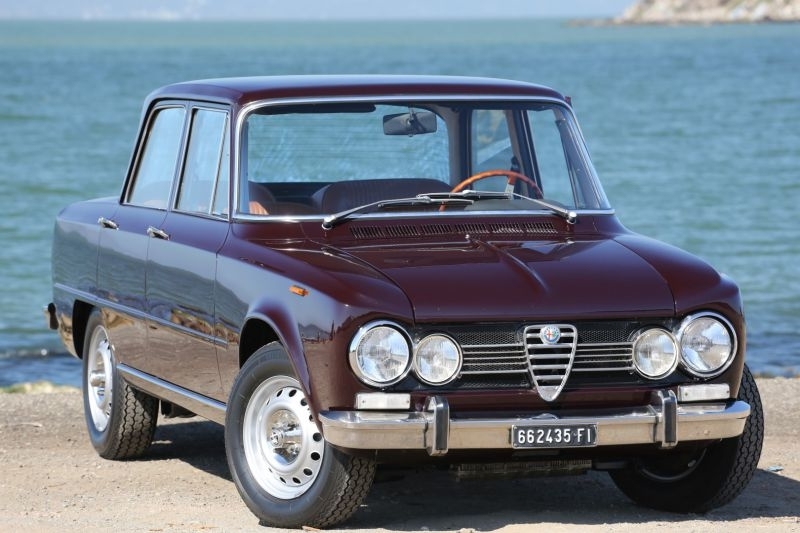 The first Giulia Ti was unveiled to the work at the 1962 at the Autodromo Nazionale Monza. The ‘Ti’ nomenclature referred to the class of Italian saloon car racing known as ‘Turismo Internazionale’, previously applied to higher-performance versions of the 1900 and Giuletta saloons in the 1950s. The Giulia Super model was introduced in 1965. 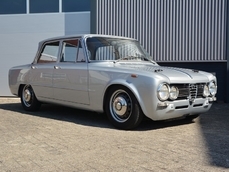 Developed specifically by mining racing technology in the racing Giulia Ti, the Super went on to become one of the most successful sport saloons of the post war era. The Super featured a twin cam engine, unit body construction, four-wheel disc brakes, and (by 1968) improved suspension with revised geometry and a rear anti-roll bar. The interior offered a new dashboard with a large, centrally located speedometer and tachometer, under dash mounted engine gauges, and a sporty wood steering wheel. For 1970, updates included dual-circuit brakes, central mounted handbrake, larger external door handles, and top-hinged foot pedals. Throughout the remarkable seven-year run of the Giulia Super, motorsports press and enthusiasts alike praised the cars for their versatility, performance capability, and durability. 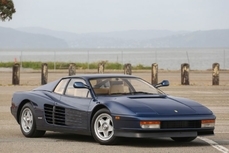 All of which made for both tremendously exciting road cars and remarkably victorious racecars. 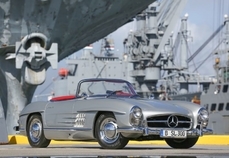 This beautifully preserved example is a desirable European model, believed to have been delivered new to the first owner in Germany. The attractive inboard driving lamps, upright stance, and open greenhouse set an elegant, almost stately look to an otherwise lithe profile. 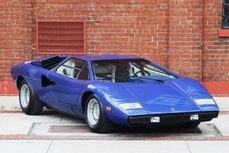 Having benefited from what appears to be careful ownership, the car has amassed less than 57,000 kms (35,000 miles), which is understood to be the total mileage from new, confirmed by the remarkably preserved condition of the entire. The paint and overall exterior finishes are in very nice condition throughout. The elegant Aubergine paint is deep and lustrous and was done to a nice level in keeping with the car’s value. It displays very nice gloss, good coverage, and shows just a few minor marks from general road use as well as some cracking on the driver’s door. The chrome and stainless bright work are in good condition with mild hazing on the front and rear bumpers, light pitting on the nice door handles, and very nice window trim and straight garnish moldings. The doors, hood, and trunk open and close easily showing nice fit with consistent panel gaps. The restored wheels are in excellent condition, properly painted satin silver with very nicely finished correct center hub covers. The car rides on Vredestein Sprint Classic tires with good tread. The lighting, lenses, and script are all in very good condition, though the passenger side headlamp has a crack in the lens. The glass, including the rear window with defogger, is in very nice condition with one scratch mark at the lower center of the rear glass and a few minor marks in what is almost certainly the original windshield. The interior is remarkably original, showing very nice door panels, seating surfaces, dashboard, and accessories that belie the forty-plus years of age. Clearly the car has been well cared for over the years as there is no sun damage on the interior materials and only mild use evident when closely examining the front seats stitching lines. The lower door panel chrome trim has delaminated in some small areas and the headliner shows some discoloration, but other than these small areas, the interior shows very little wear or aging. The dashboard and instruments are very nicely maintained as is the beautiful wood rimmed steering, accented by aluminum spokes, complimenting the rich wood inlay that runs the length of the dashboard. The interior delivers that unique combination of sporting flavor coupled with elegant Italian charm. A wicker picnic basket and a set of driver’s gloves would appear equally at home on the passenger seat. Inside the spacious trunk, the finishes are tidy and clean reflecting the original materials and housing a full sized spare tire under the factory floor mat. Under the hood, the engine and engine compartment reflect the same level of originality and attention to detail consistent with the overall quality of the car. Handsomely presented, the engine compartment is very clean, nicely detailed, and clearly has been tended to by mechanical professionals who respected this car’s originality. The twin Dellorto carburetors and factory air cleaner are nicely finished along with the aluminum twin cam valve cover and various assorted components. Even a period correct type battery has been recently installed. Underneath the car, the chassis is incredibly straight, solid, and unmolested, revealing even the properly preserved undercoating and correctly finished suspension, further validating the cohesive structure and cosmetics so nicely united in this example. Mechanically, the car is a joy to drive. The brakes, transmission, engine, and suspension all work in harmony. There is a very minor driveline vibration, notable only at moderate speed, disappearing at about 70 kph (40 mph). The car has otherwise smooth acceleration and good power. It is almost impossible to keep from smiling while driving. All the gauges are functional, seating position is perfect, controls in easy reach, and with windows down, the cabin fills with cool air without generating excessive wind noise. As enthusiasts find it more and more challenging to acquire many of the world’s most amazing automobiles, the Alfa Romeo Giulia Super is quickly becoming an enchanting proposition to anyone who enjoys driving their cars. Seldom seen in this condition, rarely found with such excellent original interior, handsome colors, and low mileage, the striking beauty and purposeful elegance repeatedly deliver on the promise of performance and grace, endearing you with each day of use, mile after pleasurable mile. 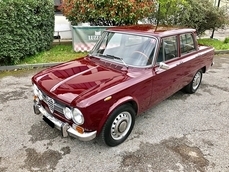 1971 Alfa Romeo Giulia 1600 cc Inline 4 no. 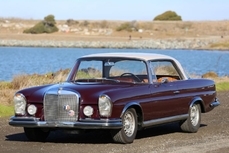 AR00526/A*E0065 is listed sold on ClassicDigest in Emeryville by Fantasy Junction for $36500. Alfa Romeo was initially founded in 1907 in Naples to prepare a French origin Darracq-cars for sale in Italy. The company did not fare particularly well, so the Italians investors took over the company, which was given the new name of the ALFA (Anonima Lombarda Fabbrica Automobili) . Nicola Romeo took over the company in 1918 turning it into ALFA ROMEO. In 1933 Alfa Romeo was rescued again this time by the government, turning Alfa Romeo into an instrument of Mussolini's Italy, a national emblem that produced luxorious cars for the rich. As well as, those racing sports cars; the 6C 1750, that Tazio Nuvolari won the Mille Miglia in, the 8C 2300 that won the Le Mans 24 Hours from 1931 to 1934, and finally 8C 2900. 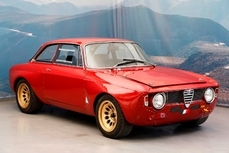 Post war Alfa Romeo might be best remembered by the all alloy Alfa Romeo Twin Cam Hemi engine produced from 1954 to 1994 or those 60's Italian films that all seem to present that quintesential Alfa Giulietta driven by The Carabinieri. 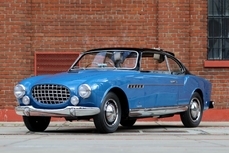 Today any classic Alfa Romeo make a great addition to an Italian car enthusiast's portfolio.